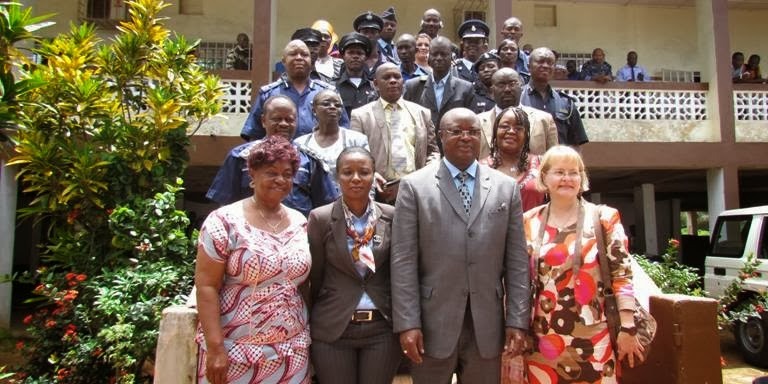 The Sierra Leone Police and the Geneva Center for the Democratic Control of Armed Forces (DCAF) held a one day regional seminar Monday on integrating a gender perspective in security sector reform. According to Ishmael Kindama Dumbuya, a Freetown-based reporter, the sub-regional seminar, which drew representatives from Liberia, Ivory Coast, Senegal and Guinea was held at the Sierra Leone Police Officer’s Mess in Kingtom, Freetown. 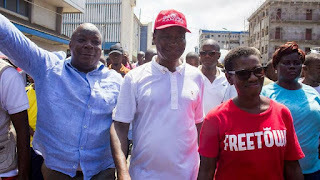 In attendance were the Vice President of Sierra Leone, Alhaji Samuel Sam Sumana, Sierra Leone's minister of Social Welfare, Gender and Children Affairs, Moijue Kaikai; the Inspector General of Police Francis A. Munu and his deputy, Richard Moigbe. Earlier in a statement, Dumbuya said, DCAF representative Anja Ebnother announced that the topics for discussion were institutional policies, structures, gender sensitive service delivery to the population, human resources, gender training, internal control and complaints mechanisms and collaboration with communities. Speaking at the event, Vice President Samuel Sam Sumana (front row, center) said that there are more than 3,000 female officers within the national police force of the Republic of Sierra Leone, with over 300 holding senior positions in the force, Dumbuya reported. The Minister of Social Welfare Gender and Children Affairs, Moijue Kaikai said gender champions were needed through the rank and file to integrate gender into the police services. 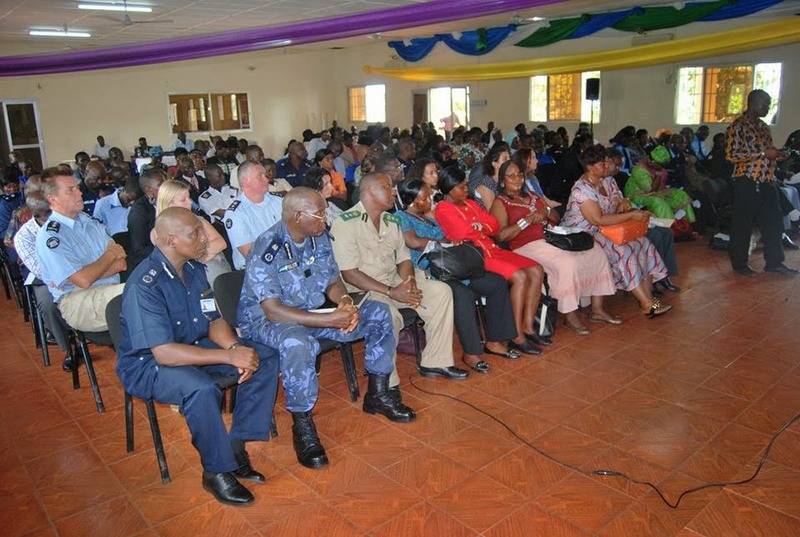 The Inspector General of Police Franci Munu (top left) noted that the launch of the sub-regional seminar was a manifestation of how Sierra Leone and the SLP have embraced and implemented gender issues in the nation's governance system. Munu also said “security sector reform is geared towards widening security beyond strengthening of military and police capabilities to overarching issues of discrimination, development, marginalization, accountability, civilian control and oversight, gender, corruption mitigation and professionalization of security,” Dumbuya wrote. 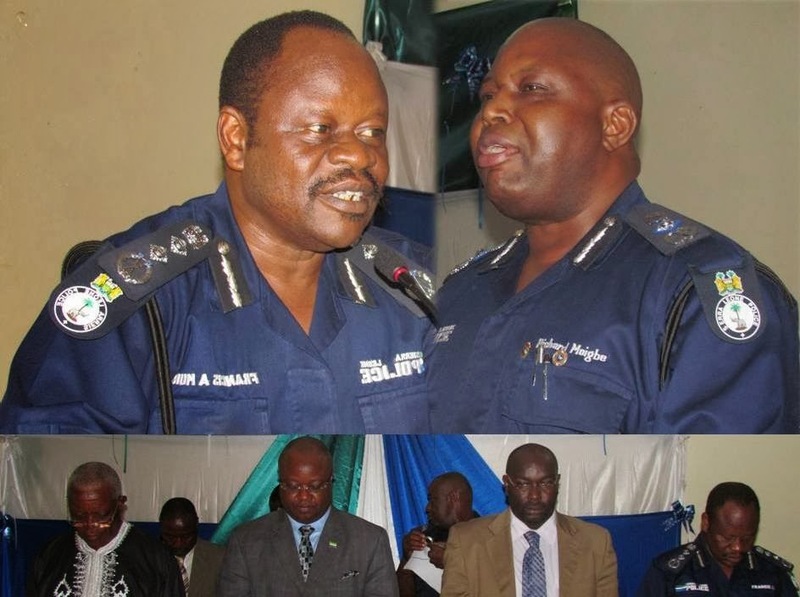 The deputy inspector general, Richard Moigbe told the gathering that the Sierra Leone Police is working strategically in mainstreaming gender into the police to meet international standards, even more so now that the Sierra Leone Police is sending police officers on peace keeping missions to other countries. On February 12, 2013, the Sierra Leone Police adopted important revisions to its Policy on Peacekeeping Operations, Lorraine Serrano reported on the Pearson Center website. 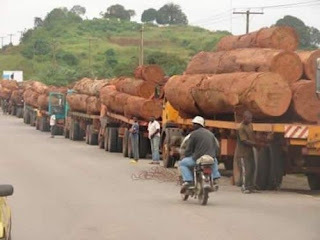 A technical committee led by a Sierra Leonean consultant conducted the review of the former policy from a gender perspective, Serrano said. The technical committee was comprised of Sierra Leone Police personnel from the Peacekeeping Operations Department, the Gender Unit, former peacekeepers, as well as representatives from the Sierra Leone Human Rights Commission, the United Nations Integrated Peacebuilding Office and the Ministry of Social Welfare, Gender and Children’s Affairs. The inclusion of gender considerations in this policy reflects the increased participation of women police officers from Sierra Leone in peace operations as well as the commitment of the Sierra Leone Police to better integrate gender perspectives within the organization, Serrano observed. Currently, 35 percent of personnel deployed by the Sierra Leone Police force to UN and African Union peacekeeping missions are women – already surpassing the UN global effort of ensuring that women make up 20 percentof deployed police in peacekeeping operations by 2014. Monday's seminar was funded by DCAF, Dumbuya said. DCAF is an international foundation established in 2000 on the initiative of the Swiss Confederation, as the 'Geneva Centre for the Democratic Control of Armed Forces'. DCAF contributes to enhancing security sector governance through security sector reform.